This vendor is the most popular in the category with 54 reviews across 6 countries. A tool to effectively find and keep track of lost items to easily get them back to your guests. As any hotelier can attest, a modern hotel operation is a tangle of systems and technologies. Navigating the options can be overwhelming and frustrating, mainly because it's impossible to know how reliable the technology is -- or how responsive customer service will be during the inevitable outage. With such high-stakes, it's easy to get caught up in the details or to delay making a final decision. “For an industry that’s fundamentally about human interaction, it’s ironic that technology has come to be such a big deal. But in today’s and tomorrow’s world, being strategic about how you allocate your tech investment resources is critical to the hospitality mission.” -Mark Van Amerongen, COO, Prism Hotels & Resorts To get to the nirvana of seamless hotel operations, it takes the best technology, customized according to each property’s needs. Irrespective of how long it takes to identify these solutions, the result should be a technology suite that works well together and is adaptable to ever-evolving guest expectations. Security and data protection should also be a priority as a hotel builds out its modern hotel operations tech stack. While your hotel may not need technology from all of these categories, each category has its own merits to carefully consider. Ask tough questions, request introductions to existing customers to prove further, and don’t rush into a decision on your hotel’s operating systems. Property management systems (PMS) The broadest category of software for hotel operations is the property management system. It structures the entire hotel operation, acting as the centralized resource across the property. From housekeeping to reservation management, everything flows through the PMS. Without a PMS, a modern hotel would struggle to thrive. Yet many hotels remain constrained by a legacy system that doesn't offer some of the most important features for a hotel to remain competitive in today's environment. So what makes a great hotel property management system? Paraphrasing an old idiom in business, the best PMS is the one you use. You want to provide the most intuitive and reliable system to empower your staff. You don't want to implement a system that frustrates and confuses. Inevitably, turnover increases and the guest experience suffers. When evaluating potential solutions, consider the interplay between the PMS and the rest of your technology. Given the centralized role of the PMS, it's important that all software in a hotel’s tech stack integrate seamlessly. Knowing that a new PMS sits seamlessly within an existing tech stack is vital. You also want the flexibility to grow with your PMS is good peace-of-mind for hotel GMs. Module add-ons, such as for spa, revenue management, guest CRM, group functionality, and channel management, can boost the utility of the PMS without having to evaluate and onboard another vendor. Ideally, each tool has a real-time connection with the PMS to avoid latency and inaccurate data. In addition to integrations and connectivity, here are three other important features when evaluating a PMS vendor: Approach to customer service. Many features in hospitality technology are commodified, but customer service isn’t one. Helpful, responsive, consultative, always available -- these are all words you want to hear from existing customers as you evaluate your options. Automation. Automation is beautiful. It helps reduce errors from manual data entry, which in turn reduces labor cost associated with manual inputs. The labor can then be allocated to something The greater impact. The consistency of both staff and guest experience is also improved, which makes everyone happier. Real-time dashboard. A centralized source of real-time information about your hotel proves invaluable over time. At a glance, everything is laid out for action. With this real-time view, issues can be handled quickly and efficiently before they escalate, and data can be deployed to rally staff around performance targets. The PMS is one of the most mission-critical software, so be thorough in your questioning of potential solutions. The most pressing question is how a company approaches customer support. Features can be copied; customer service can’t. When there's an issue with the PMS, you absolutely need the peace-of-mind that someone will be there to take your call and fix the problem. Staff collaboration In an intensive operation such as a hotel, keeping the staff organized and on track is a challenge. Reliance on paper checklists, manual work assignments, and paper logbooks can lead to inefficiencies, double-work, and communication miscues. Upgrading to modern staff collaboration software automates processes to ensure more consistency across the various departments, increases transparency as far as performance, and unites communications into a centralized hub for easy management. When the team is on the same page, the hotel operates more smoothly and provides an enhanced guest experience. Another benefit of this technology is that it expands the role of the front desk into sales. By empowering the front desk team to enter leads and collaborate with sales, more revenue is achievable. These are the most impactful features to look for in staff collaboration tools for hotels: Intelligent routing. The technology should help teams work together more effectively to improve the guest experience. Guest want consistent responses, whether they communicate via email, text, or face-to-face. Software that intelligently routes guest request to the correct department means that there's less time spent directing traffic and more time spent on the task itself. Automations. Even the most well-trained staff makes mistakes. Staff management and collaboration software can automate away some of these mistakes by providing a consistent operational checklist. For example, upon completing one task, the system can assign another task based on that completion. Schedule task can also keep properties maintained overtime, without having to remember critical tasks or assign them manually. Reports, analytics, and audits. One of the benefits of using staff management technology is increased productivity. This is not conceptual: analytics and reports chart progress and identify areas for improvement with particular departments or team members. Auditing a task’s history also boosts visibility into potential bottlenecks. After finding the vendors that have the desired features, the first question to ask them is how easy the software is to learn. Not every team member is tech-savvy, so the training and onboarding process is critical for successful adoption of a staff management tool. Concierge software Guest-facing functions have the potential to make or break a guest experience. The importance of the concierge varies, depending on hotel category. For those hotels that haven’t traditionally deployed a concierge, technology can actually make this a cost-efficient perk to offer. For hotels with an existing concierge, concierge software makes the team more efficient and accurate with their guest recommendations. In the order of importance, look for hotel concierge software that provides: Cross-channel communications. Portability across channels is important to guests. They may go to the desk, and then want the concierge’s recommendations via mobile. The software should make this easy to do for concierges, and easy to access for guests. The ultimate win is to make a seamless experience no matter who is staffing the desk. PMS/CRM integration. 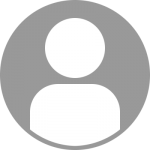 Guest profiles shouldn't live independently of other systems. The richness of a guest profile Defines how successful Hotel can be in properly personalizing the experience. Data should flow across these systems to enhance the guest experience, reduce double-work, and make the concierge more impactful. Knowledge base. It should be simple to add knowledge to a repository to pull from. Concierge recommendations should be prompt and accurate; a knowledge base that collects important information makes for stronger curation skills. When discussing your needs with a potential vendor, start by asking about the typical implementation timeline and process. There may be factors that delay implementation, such as integrating with other systems, so you want to be clear what’s expected on your end -- and how long it will take on their end. Housekeeping management software As guests check in and check out of the hotel each day, housekeeping has a lot to keep track of. In addition to making sure that rooms are available for incoming guests, each room turn must meet service specifications. Housekeeping processes and communications must be on-point to make this all happen smoothly. Housekeeping management technology eliminates uncertainty and helps each housekeeper manage daily workflow without sacrificing quality. The software also allows reliable tracking of performance across the entire department. To achieve these productivity gains, here are some of the most critical features of housekeeping management software: A focus on productivity. The right housekeeping management software helps your staff to be more productive through greater transparency and accountability. Look for software that provides detailed reports and helps you motivate your staff to improve performance over time. Mobile. This is obvious but often overlooked. Your stuff is going to be moving about the property and the tools need to move with them. It doesn't make much sense to have a digital system that requires a paper printout. Another key point: The best technology timestamps key events, delivering reliable data essential for accurate reporting. Real-time notifications. On-the-fly changes to room availability happen; For example, a priority guest requests early check-in for a suite that still needs cleaning. The system should ping the housekeeping staff in real-time to adjust priorities in real time. When it comes to housekeeping management, the most pressing question is usually how the solution integrates with existing systems, especially the PMS. Direct integration eliminates duplicate data entry, supports data integrity, and allows you to use the best systems for each department. Guest feedback software Gathering guest feedback, and using that data to benchmark progress against performance targets, is a critical part of a hotel’s operations. Guest feedback gives the GM a near-real-time view of the guest experience, helping to identify areas for improvement and immediate attention. As a hotel incorporates guest feedback, it improves. A responsive management team can transform negative feedback into a positive experience that builds goodwill. As more sites pop-up with reviews, from Facebook to Google to lesser-known brands, a hotel’s reputation demands a modern solution that starts with guest feedback. If you can catch the bad feedback before it's posted in a review, and encourage the best experiences to be shared, then you’ve set your hotel’s reputation on track. This drives more new business, alongside encouraging more repeat business from guests that feel heard. When you're looking to manage your reputation with software for guest feedback, you’ll want the following: Guest history. It should be clear how many times a guest has provided feedback so that your team can communicate in a more personal and relevant way with the guest. These attributes are visible pieces of a guest’s profile. Responsive design. Guests will likely complete surveys or provide feedback via a mobile device. All surveys and forms should look just as good on mobile as on desktop. Integration. If the feedback loop lives only in the guest feedback system, it may prevent that feedback from being acted upon quickly. PMS metadata can provide that context right in the feedback tool, allowing a potential issue (such as a broken HVAC system) to be routed instantly to the right department. For a detailed insight into a vendor’s approach to guest feedback, ask them for references. This is the most important questions for such a critical guest-facing tool. You'll learn more from the implementation experiences of other hotels than from the vendor itself. Of course, this advice extends to all vendors; however, with guest-facing solutions, it’s especially useful to know how (and if) a vendor has delivered on its promises to other hotels. I recently had an experience with a hotel concierge where some family members were staying. I have never been to that property, yet the concierge went out of his way to assist me in getting flowers to their room. Not only that, he stayed in touch with me at each step, including letting me know when the flowers were in the room. I has such a positive experience from this, and I have yet to set foot in the hotel. If your property offers concierge service, here are some key reasons to make sure it is highlighted in your broader digital communication. Capturing loyalty from those who could be future guests: Again, my loyalty is towards this abovementioned hotel and I have not even been there. But when I am in the area, this will be where I stay. If you have a concierge, be sure to highlight that service on your website and email communication. Also, encourage guests who use the concierge services to share their experience on your social channels to showcase what additional services you offer through the concierge. Showcasing an added feature of your property to those who are visiting: Having a concierge is like having a ‘man about town’ in your pocket. That person knows the lay of the land, and can help with reservations, excursions, and other tourist items where having a local is key. This should be considered an added feature and should be highlighted on your property website, including what services the concierge can offer guests. Helping your guests think outside the property box: Speaking of what the concierge provides, this is also the digital place to talk about placing flowers in a room, putting together a gift basket for a VIP guest, or any other ideas that can be provided by the concierge. This can also be changed seasonally (think Halloween, Christmas or Valentine’s Day). If your concierge does something visually engaging, make sure to share it on Instagram. Your concierge may be physically in your lobby or reception area, but should also reside digitally. Feature the good deeds of your concierge through your digital communication. If you haven’t been to HITEC yet, you are missing out on the biggest hospitality industry technology exposition and conference of the year. 2018’s HITEC kicks off on June 18th in Houston, where C-level hospitality executives and the top technology industry experts will gather for four days of in-depth demonstrations and networking. The 2018 conference speaker line-up is full of great options for hoteliers and technology professionals, but with so many talks, on such a wide variety of important hotel topics, it can be hard to know where to go at any given moment during the conference. For anyone that needs help with choosing the right talks, panels, and workshops, we picked some of our favorites: Opening Keynote: Reinventing Leadership for the Age of Machine Intelligence Monday, June 18th 4:30 - 5:45 PM Level 3, General Assembly B Keynote Speaker: Mike Walsh In HITEC’s opening keynote, Mike Walsh will walk through the impact of automation, algorithms, and AI on the industry and how leaders can leverage these technologies to improve their hotel performance. These accelerating technologies raise interesting challenges and questions for hoteliers such as to what extent will automation change the way they run their hotels and manage guest expectations. Fresh off Google’s Duplex innovation, which shows a store-owner unwittingly having a conversation with a robot trying to book a hair appointment, we’re on edge when it comes to the role of AI in our lives. Mike Walsh will deliver a fascinating presentation about the degree to which machine intelligence will change our lives as well as the business of hospitality. Concurrent Session: Guest Facing Technology Tuesday, June 19th 4:00 - 5:00PM Level 3, Meeting Room 351-D Moderator: Ted Horner - Owner of E. Horner & Associates Pty Ltd., member of the HITEC Houston Advisory Council and an inductee to the HFTP International Hospitality Technology Hall of Fame. Panelist: Andrew Arthurs, SVP and CIO for Two Roads Hospitality and Thomas Fangar, VP of Multimedia for MGM Resorts International Learn how innovation being embraced by consumers is putting new pressures on hoteliers to deliver cutting-edge guest room experiences. We’re personally interested to see how much the idea of “future-proofing” guest rooms is discussed in this talk. The pace of technology innovation is rapid and sometimes the shiny new thing can become outdated in a flash (think charging ports for the only-five-year-old iPhone 5). At ALICE, we believe strongly that the burden to “choose the right technology” is lifted when you first focus on establishing a technology for your hotel that is open and integrated and future-proofed through APIs. 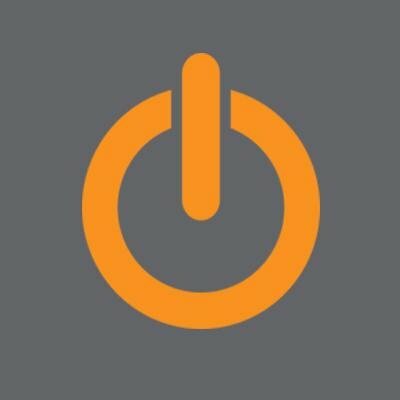 ALICE’s Open API, for example, allows for integrations with innovative guest-facing technology like Percipia, Zaplox, Volara, and Alta, to provide our hotel partners comprehensive solutions to transfer guest information seamlessly to staff and vice versa, regardless of the hardware of the moment. We look forward to hearing what these industry leaders have to say. Concurrent Session: Independent Hotel in a Big Box World Tuesday, June 19th 4:00 - 5:00 PM Level 3, Meeting Room 360-A Discover strategies for independent or boutique hotels to compete against bigger hotel brands that have larger staff and budgets. Boutique and independent hotels offer guests a unique way to immerse themselves into a local community while providing unique amenities for a memorable stay. This hotel segment is quickly growing in popularity, giving hoteliers the opportunity to set themselves apart in myriad ways, including through the experiences they offer (via a stellar concierge program) and exceptional service (aided, we like to think, through technology). Concurrent Session: Monolithic vs. Best In Class Thursday, June 21 9:00- 10:00 AM Level 3, Meeting Room 351-D Speakers: Dmitry Koltunov, CTO and Co-Founder of ALICE and Jim Fedigan, Group CEO for Jonas Club and Hospitality Divisions at Jonas Software, A Constellation Software Operating Group This discussion will dive deep into the ongoing debate between hotels using best-in-class solutions versus monolithic suites. The talk will present a vivid portrait of the ideas put forward in the recently-published “Hospitality Communication Platform” white paper from HTNG (co-authored by ALICE’s CTO Dmitry Koltunov) and how hotels can leverage the new cloud communication framework to optimize cost, time, and exceed guest expectations. 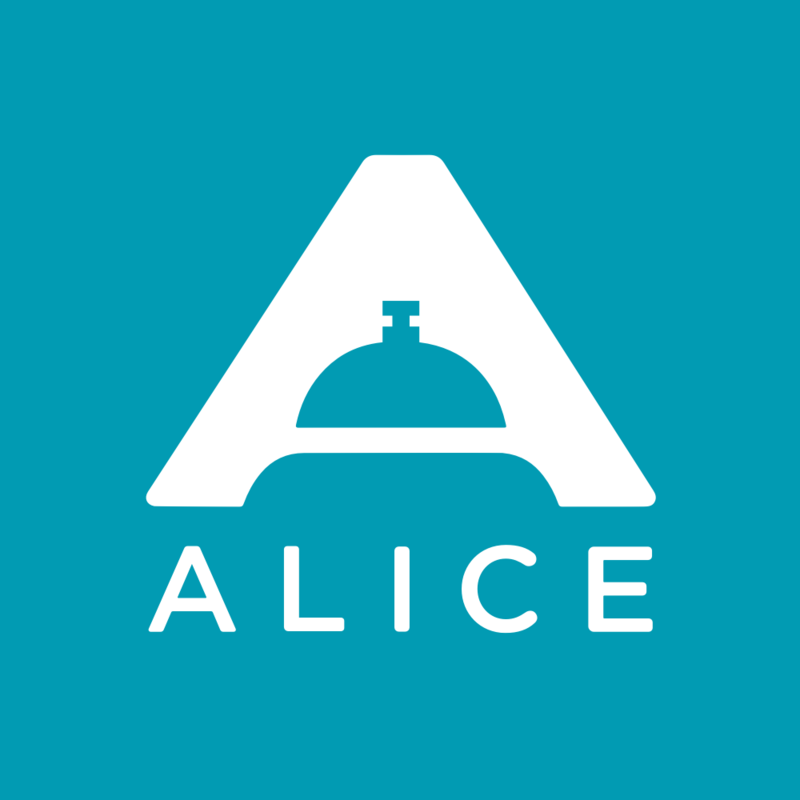 If you’re looking for technology to improve your hotel’s performance during HITEC, stop by Booth 2319 to meet the ALICE team and see a live presentation of our technology. Hoteliers interested can book a meeting in advance, for a personalized demo of ALICE. Not planning on heading to HITEC this year but want to learn more about ALICE’s suite of products? Visit https://info.aliceapp.com/ to request a demo. Hotels using automated text messaging have seen guest engagement increase by over 25% Texting has emerged as one of the most popular ways for hotels to communicate with their guests. However, the time-consuming nature of one-on-one text messaging makes it seem at times at odds with the busy atmosphere of the front desk. A tool such as guest messaging automation increases employee productivity as it enables hoteliers to spend less time doing the actual sending and more time communicating. In recent beta testing, hotels that have adopted guest message automation as a part of their communication strategy have seen an increase in their guest engagement by over 25%. By using automation to help their communication with guests, pre- and at arrival, during the guest stay, and at departure, hotel staff are applying the time they save to have more meaningful interactions with guests, thus streamlining staff operations and improving the guest experience. Here are three benefits of incorporating elements of automation to your text messaging program: 1. Efficiencies for hotel operationsText messaging is a powerful tool to drive guest loyalty and engagement, but proactively reaching out to guests requires a lot of time hoteliers may not have. One of the biggest benefits of text message automation is that it saves staff from sending the same welcome message or WiFi password again and again, thereby giving staff more time to have meaningful conversations with guests. 2. Speedy replies The convenience of text messaging as a way to get in touch with a hotel is increasingly expected by guests who are growing accustomed to texting with businesses. But texting is only convenient for guests if they can count on quick responses. In a previous ALICE study, guests expect a response sent by text message in 12 minutes or less, compared to 18 minutes with mobile applications and 25 minutes with email. Automating responses to frequently-asked questions makes an immediate response easy, and lets staff focus on responding to other texts in a more timely fashion. 3. Improved engagement across all phases of the guest journey Performing multiple tasks simultaneously comes with the territory of the front desk. Automation allows your hotel staff to complete multiple tasks while amplifying their personalized reach before the guest even arrives on the property. Pre-Arrival: Help your guests plan their stay With automation, hotels can communicate a welcome message before guests check in to convey a pleasant check-in experience and memorable stay: “We are so excited to have you at the hotel in X days. Is there any way we can assist you before you arrive? Just text this number to let us know.” Hotels, such as the Holston House in Nashville, Tennessee, are embracing this communication method. “Text messaging automation ensures all guests feel welcomed before they step foot onto the property,” Ernesto Gonzalez, Director of Rooms, emphasizes. “Given how busy the desk can be at peak times, it’s difficult to expect our front desk agents to have the time to welcome every guest. Automation with ALICE improves the guest experience we offer at Holston House while saving valuable time for our team. It’s a win-win.” At Arrival: Welcome your guests When hotels use text messaging automation, hotels can set up campaigns to welcome every guest the day of arrival: “We are delighted to welcome you as our guest this evening. Please reach out to us at the Front Desk by simply replying to this text message, should you need any additional amenities for your room or have any questions during your stay.” During the Guest Stay: Continuous open conversations with your guests Once your guests are settled into their room, text message automation continues the open conversation at the guest’s convenience. Template responses to guests’ frequently asked questions such as “What’s the WiFi password?” and “What time does breakfast start?” can make your guest feel as if their needs have been met at any point of their stay. At Departure: Improve guest feedback With text messaging automation, hotels have the ability to be proactive in resolving guest issues before they checkout from the property. Sending departing surveys privately through automated text messages resolves issues before they reach review websites and hoteliers can capitalize on these complaints as insight to adjust standard operating procedures. ## With automation, hotels can leverage text messaging to engage with their guests before they even arrive on the property, and save time while texting throughout a guest’s stay. With text message automation, guest engagements will come across more personal pre-, during- and post-stay, heightening guest satisfaction to lead to increased brand loyalty and revenue. Why do hotels need concierge software? Travelers want to taste, see and be at popular, rare, pricey, unobtainable, and sold out experiences - and they want it now. The best way to make this happen is through a concierge. That’s why a hotel needs concierge software - to empower the hotel to meet guest expectations, at scale. Concierge software enables concierge and front desk teams to act like a team, managing all guest requests and guest communication with one system. Concierges are able to quickly create tasks for each request, build hotel-branded assets to deliver to the guest, and communicate with the guest via their preferred communication channel. How can concierge software help my hotel? Track all requests with one system. Record requests and incidents for all reservations, transportation, packages, wake up calls, lost & found, and any other service. Share knowledge across shifts. Leverage shared calendars, reminders, and internal notes to ensure your concierge team is aware of all guest requests. Concierge software provides transparency to the entire guest services team and an improved way to collaborate on guest requests. Enhance the guest experience. By providing excellent organization and communication tools to a concierge, concierges are able to elevate the guest experience. Concierge software allows you to build a knowledge base of your valued guests so you can improve guest service and make it even more personalized for returning customers. For info on Concierge software trends, questions that you should ask vendors and more download the 2019 Hoteliers Guide to Concierge Software. What are the most important things to look for when selecting concierge software for your hotel? Text Messaging The ability for guests to communicate with the hotel without downloading an app, which improves engagement. OpenTable Integration Integrated directly with your PMS and OpenTable to easily make reservations and access guest information from one system. Branded Itineraries, Letter Confirmation, & Recommendations Elevate the guest experience with hotel-branded documents, making your team look extra polished for your guest. Personalized taxes, fees, and policies Customize taxes, fees, and cancellation policies in the combination that best suits your business. Reporting Reporting enables management to have transparency into their operations to make decisions based on data instead of intuition. Package Management Record, maintain, and easily access a log of incoming and outgoing packages without leaving your concierge system. PMS Integration Ensures your entire staff is able to access all guest information and requests associated to the reservation. What is typical pricing for concierge software? Concierge software pricing generally depends on room count and the number of staff being trained. Great concierge software should include Request Management and Messaging tools. The software is priced per room per month and generally ranges between $350 and $500. How long does it usually take to implement new concierge software? Hotels should select a project captain to assist in collecting all necessary information to configure the product to fit the needs of the hotel. Vendors collect user info, department information, etc. Vendors purchase devices pending product purchased then setup the PMS integration or any other purchased integration. They will set up a training schedule ahead of time for staff to join, generally by department. Vendors book necessary travel to get to property (usually on-site) and train staff for approximately 3 days. How do I know when it’s time for my hotel to start using concierge software? When your online reviews or guest survey scores begin to dip - it may be time to explore Concierge software because it can help your hotels deliver better, more personalized service. Improved guest satisfaction (as reflected in reviews), should be the result. Service time standards ensure staff communicates with guests in ample time. Concierge software should enable hoteliers to configure escalations to ensure quick messaging back to guests in appropriate time. What are the top rated concierge software providers for hotels?